When getting to know the supreme court ruling, I am feeling disgusted, worried, hopeless and anger. I worry about what my children can learn in the school, and worry about those kids from gay marriage families. I feel resentment. It's a unstoppable trend and I am feeling letting go and a metal mesh in my chest. In TTP we support people in finding and in exercising right livelihood, however they define it. You might consider taking your feelings about <what other people do in the bedroom> to Tribe as an entry point. I've been a fan of yours for many years. I was hoping you could give me some advice. I think my mother has a serious gambling problem. It may not even be a gambling problem, because gamblers win sometimes. She just likes to lose money in the market. I remember in Market Wizards you said some people win by losing, well then she is a very big winner. She gets tips from her friend who is a "financial adviser". She will invest thousands of dollars in a stock in watch dissolve into nothing. Then on the next tip and more losing. I stumbled upon her account by accident and was horrified by what I saw. I shared with her some of the principles I read in Market Wizards thinking it might make a difference. I guess I was naïve. To watch her continue to burn money on what she calls "investments" is somewhat troubling. Is there any way to reason with a person like this? 1. Your mother has a problem only if she thinks she has a problem. 2. Your mother owns her money and may do with it whatever she likes. 3. If you don't like her behavior, and wish to control her and to change her behavior, you have a problem. You may find you and your mother both share a desire to control others, and to resist control by others. 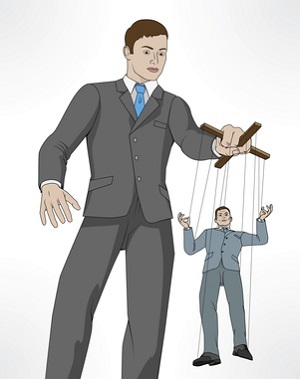 You might consider taking your feelings about <controlling other people> to Tribe as an entry point. You might emerge from the process with the idea to establish rapport with your mother, to tell her your own feelings about her behavior, to listen to her feelings - and then to support her to live her life in her way, according to how she sees fit. to figure it out for herself. My FAQ is 10 days late. I allowed my commitment to completely leave my mind. I acknowledge that it was my intention to break my agreement to submit within one week. My submission is below, it speaks more to my intention. Trading Tribe is June 11. I have a commitment to submit to FAQ by Thursday June 18. Today is Sunday June 28. I am 10 days late. I acknowledge that it is my intention to break my agreement. I acknowledge that breaking this agreement subjects me to expulsion from the Tribe. I am hopeful that I can continue with the Tribe, it is important to me. Trading Tribe on June 11th feels different, the Tribe has grown together. We are more cohesive. We have demonstrated care and trust. The drumming feels different, louder more energetic, it lasts longer peaks and seems almost finished then peaks again, several times. I do not know who keeps pumping it up, it may be me. Once again I role play a woman during Rocks Process. It seems I am always playing the mother or grandmother, maybe it's my beard that makes me so convincing in those roles. My roles is to instigate an argument with my son, I feel unsure how to do it, then I find the way. I donate the Instigate Rock to Hot Seat. Chief talks about recurring dramas bringing up the exact feelings we are unwilling to feel. This is an ahha moment for me. I recall just a few days earlier telling my girlfriend that alone is an illusion, that we are never really alone. I realize that I am unwilling to feel alone and therefor I constantly put myself into situations where I feel alone. Perhaps when I am willing to feel alone, I will not need to experience it quite so much. I fear that if I am expelled from Tribe I will feel alone. We spend time talking about agreements; two Tribe members have not kept their agreements to work on the Trading lab report. One Tribe member is asked to acknowledge to each of the others that it was his intention to break the agreement. We each acknowledge that it was our intention for him to break the agreement. I feel superior, that I am good at keeping agreements. This is not the point of acknowledging our intentions. I now acknowledge that as it turns out I am as good at breaking agreements as others are, maybe better. For the first time I see the Stack of judges collapse. I had read about it. Until I see it for myself I do not understand it at all. It appears to be a powerful tool. I hope to see more stacks of judges collapse. Thank you for sharing your process and for documenting the Stack of Judges process. 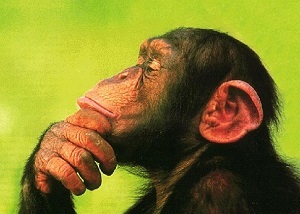 technical analyst = market perceptionist ?? After all what we all do is to just enhance our perception about market and trade/invest accordingly. Analysis is just part of this and not entirety of it. What do you think sir/madam? Consider a Trading System that responds to price and generates buy and sell orders. In this system, you might consider analysis and perception as extraneous and possibly counterproductive activities. Thank you for sending me the graphic. thank you for the tut! 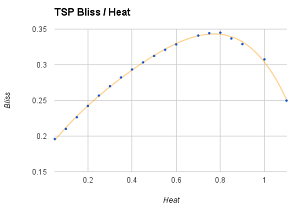 Thank you for sending me your results - and a graphic demonstration of optimal heat. When you can get there with your relationship with your trading system, you might have something. The second page of the excel file shows the charts seperately. One chart for bliss, one chart for ICAGR and one chart for Drawdown. I find it easier to see the variations in the color when I seperate the values into different charts. I find myself rubbing the left side of my forehead with my left hand as I send this email. Thank you for sending me your charts and spreadsheets. For publication, I would like a complete study, with step-by-step instructions so that others can follow along in your footsteps. out in case you didn't know. Would you be able to update it? see who appears on the list and who drops off. Thank you for sending me a heads-up on the situation. The one-day outage corresponds to moving the equipment to a new location, in Puerto Rico, and having to implement new interconnections with Internet. really good feedback so far! Thank you for getting back to me. I think we are both endeavoring to explain something not fully understood. You by trying to sort out the behavior of Lift and the Bernoulli principle and me trying to show how that lift and the Bernoulli principle could explain how tornadoes form and function. I see a tornado acting like an atomizer pulling the air up and out of the tube/tornado. In fact this was your second possibility given in your response below. Since I contacted you in December 2014 I have presented my research at the Joint Session of the American and Canadian Geophysical Unions in Montreal, Canada on May 4 & 5, 2015. I am attaching my poster board display which gives good overall summation of my research. I am still having a hard time convincing the Meteorologists that this is possible. However, all the Physicists think I am on the right trail. I presented this as a Poster Board Display at the Joint Session of the American Geophysical Union and the Canadian Geophysical Union on Monday and Tuesday, May 4 and 5, 2015 in Montreal, Canada. On the first page I am trying to show that a tornado is driven by the overhead jet stream reducing the pressure on the top of the tornado, allowing the higher pressure on the ground to push air from the ground up into the tornado, much like one would drink through a straw. These were not low pressure areas that caused the Tri-State Tornado, what we are seeing is the air filling in the void as the air rushed into the tornado, as it went up into the tornado. On the bottom of the first page is a moisture convergence map taken at 12 noon, less than one hour after the Washington, Illinois started at 11:10AM. I believe we can safely say that this moisture convergence did not mean we had a lot of rain in that area, but instead we are seeing the moisture drawn up by the tornado and deposited on the north/left side of the tornado. On the second page I am showing some of the tornadoes I was asked to plot and others to show how the jet stream's velocity and height determine to strength of a tornado. The main problem I see with what we do now is, that we don't consider or look at any jet stream velocity other than that at 32,000 feet or about 10,000 meters. This is where the problem comes in. The highest jet stream velocity is not always at 32,000 feet. We need to be looking at any high velocity overhead jet stream elevations that the thunderstorms can reach. And on the bottom of the page I show a typical jet stream contour map I have made, using the highest velocity overhead jet stream to show how the stronger tornadoes form under the higher velocity jet streams. I find this 100% of the time. Why did meteorologists ever decide not to consider, or rule out the high velocity overhead jet stream in the first place? On the third page I am trying to show how I think it all fits together. I think/agree that the tornado is started by a vortex formed by the warm air from the gulf overriding the cool air from the north and that being lifted into a vertical position. This gives us the possibility of having two tornadoes, one cyclonic and one anticyclonic. In fact, if you look at it, there is no other way we could ever have an anticyclonic tornado. Because, any other way a vortex could form out of rising air, due to the coriolis effect it would always turn cyclonic in the northern hemisphere. Finally I tried to do some calculations to check my theory. The first trial was just, a made up, small tornado to check if I was in the ballpark as they say. When I calculated the mass to be lifted I got concerned. However, calculating the lift available at different velocities proved it was possible. Then I calculated the Washington, Illinois tornado which just missed my daughter and her family. The mass to be lifted and the lift available is almost unbelievable. But if we look at the damage we can now see why it is so great with the forces we are dealing with. The last sheet is the tornadoes and hail storms I used for my plots. I might add, I did all of the research before I did any plotting, so as not to introduce any partially on my part. My Poster Board was 8 ft. X 4 ft. made up of three panels 32 inches wide by 48 inches log. By using a 30% tile size you can print each section of the poster board 11 inches wide by 17 inches long. Ed,I would greatly appreciate any thoughts you might have about your research on lift and how it might relate to my research on Tornadogenesis. My research show a direct connection to the overhead high velocity jet stream and tornadoes. We are talking about saving lives here. Do you have any thoughts? Thanks for your time Thank you for sending me your research. In your presentations, you might consider emphasizing the correlations between jet stream velocity and tornado strength - as that may pique interest. Per the lift dynamics at the top of the tornado, you might consider looking for laminar separation (and associating pressure decrease) as the jet stream impacts the tube, and as the tube deflects the stream upward. The tube might also have a natural tendency to bend away from the oncoming stream, promoting further evacuation of the tube. You might also consider first presenting your theories to physicists in other fields - and later, to people with credentials in tornado science. Function: preserve the status quo. I share with you a remarkable experience for me. I have been involved with a major policy challenge involving a government body. We have been genuine in our approach to try to provide assistance to the government. This in spite of the truth that our firm has successfully provided this type of assistance for over 40 years! Our suggestion was not approved so I guess it was deemed not worthy of consideration. Today, the Chairman of the gov't committee approached me and wished to say "hi" and "I hope we can work together". My reply was "Ok", "I share with you I feel offended that our suggestion is not being considered". The woman's response "I just wanted to be friendly" as she tried to deflect our conversation to another woman nearby. To which I replied "I am not sure how friendly we can be if you are not willing to accept my feelings". This sent the woman into another place. Her political approach was not working and she had little capacity to phase shift into what the moment was. I feel sincere and genuine and am content with all my efforts in this endeavor. It feels good to be scientifically accurate, in compliance with our constitution, and willing to afford a long rope for the government to transform itself. I have to thank you and other Trading Tribe members for this capacity to be honest and genuine. I see it working for me to get what I want – to just be sincere and accurate! The Govopoly System generally employs control-centric relating - while the Free-Competition system may also employ intimacy-centric relating. You might consider taking your feelings about <using both methods> to Tribe. She: I just wanted to be friendly. He: Thank you for reaching out to me. She: OK. Call my secretary for an appointment next week. Maybe I can give you some tips on how to get things done around here. Puerto Rico and the S.E.C. Congrats on moving to Puerto Rico, last I heard you were in Texas and before that was it Lake Tahoe? If I didn't know better I'd think you're trying to stay one step ahead of the S.E.C....lol, Thank you for sharing your analytics. I assume your initials refer to Salchicha, Empanada y Churrasco. I saw your response on the website. Thanks for the response. What part of Puerto Rico are you in? I used to live on St. Croix, Virgin Islands so I spent a lot of time on Puerto Rico. Great place! I live in Isla Verde, a little east of San Juan, near the airport and the beach. Wondering if there are any tribes in Northern California and any workshops coming up? You can check the Tribe Directory for a location near you - and you can start your own Tribe. I generally host workshops in response to demand. We begin the meeting by drumming. I enjoy being back with fellow Tribe members. I feel relaxed as we drum. After drumming everyone says how they feel then talks about issues and some background. After listening to everyone I realize everyone brought my issues. One tribe member is shutting down when working on a technical program. He feels stupid. He does a process and an event with his mother comes up when he throws away important papers. She berates him and implies by her actions that he is incompetent. A fellow Tribe member plays a very nasty role of his mother. I relate to this process. In the process he is able to share his feelings instead of shutting down. I see that part of shutting down is also a biological reaction to insult. I identify with this. Staying open and present in the moment with all my feelings as well as expressing those feelings when my gut says to seems to be the solution for shutting down. The next hot seat describes the issue about wanting to be loved at all costs by trying to please others. She recounts an issue with her father and the fact that she can never please him. To be loved she must prove herself indispensable. I relate to this role. Just because someone is your parent does not mean that they are not incorrigible or a sociopath. I am reminded we are all full of rocks with this process. I also become aware as the meeting progresses how much Tribe means to me and the awareness I gain of myself and my every underlying intention and how all this affects my life. A process that comes up regarding making fun of a boy for peeing his pants. The teacher then scolds her and shames her for this. The process continues and a role play of the little boy and teacher is done. I watch as shame is replaced with understanding when the process is complete. So I put off writing to FAQ perhaps not willing to face some of the issues that come up during the meeting. I apply what I learn or absorb from tribe though over the past few weeks noticing the correlation with my current issue and the processes that are completed at Tribe. Much of my life now seems to be a minefield of issues that are putting my new Tribe programming to the test. I notice I retreat to listen to my heart and my gut more often. I examine my own intentions a lot in the dramas that do come up. Am I teasing out old dramas or rocks from my family. How do I stay open and like “smoke” when attacked? The drama is far less though as I listen more to others feelings and share my own feelings. So over the past 2 weeks I can report observing the exact same patterns and rocks we work on in my current dynamic. I make progress and connect with those involved . I use tools from the meeting and tools from previous tribes. Ed, thank you for hosting the Tribe meeting and also for leading the meeting as Chief. I am sure my FAQ here does not do justice to reporting everything I absorbed from the meeting but I can report measureable change for the better. I look forward to the next meeting. Thank you Chief, I'm enjoying the freedom now in a bigger universe. I wonder how this might affect the certification industry in Puerto Rico that charges people around $1,000.00 and several months to acquire a carry license. I attach my resume as an addendum to my previous email regarding apprenticing for you. I notice you haven't updated the site in a couple of weeks. I wonder how you do and if you're ok. I would like to learn about trading, but more importantly I would like to learn about myself. I would like your help. I think that then I could apply it to whatever endeavor I pursue. If you have specific issues, you might consider addressing them to FAQ. If you wish to engage private consulting, you can find my terms at Ground Rules, above. I feel a bit sad and hurt, but am working diligently. Chopping wood, carrying water. I recall you commenting that many of the mass shooters were on heavy psychoactive medications. You don't have to agree with everything on this site to see they make some good points about this issue. 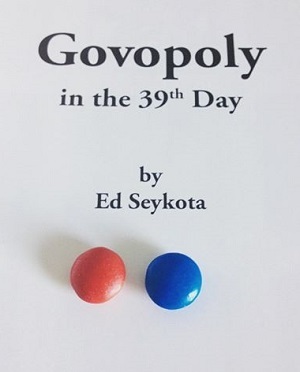 "TO STOP MASS KILLERS, WE HAVE TO STOP DRUGGING OUR YOUNG BOYS"
In my book, Govopoly in the 39th Day, I show how the inexorable growth in the Govopoly System eventually assimilates the entire Free Competition Sector. As this continues, you might expect to see symptoms of a society in which people favor medicating their problems, rather than dealing with them pro-actively. I differ with the author who claims "we" have to do something different. In Govopoly, I present evidence that we might have as much chance telling terminal cancer that it has to do something different. I propose the best response to assimilation involves preparing yourself and those you love for the imminent outcomes of this, the 39th Day. 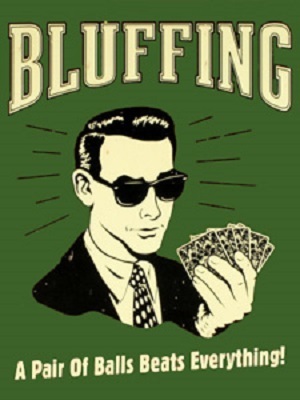 When you play poker you get to play the cards (fundamentals) and the other player (behavior). 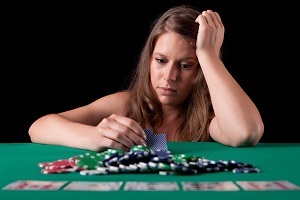 A single hand would be played much differently if you are playing a group of Vegas dealers or a group of inebriated dentists on a three-day conference vacation. Trading the strongest markets seems to always mean trading at least behavior and maybe fundamentals too. Anytime price starts moving, emotions rise. In a recent Tribe meeting, I conduct a process with a client that does not want to get into his feelings. At first, I try to coax, cajole and comfort him into going for it. Then I get the idea to let him have his process in his own way. I simply announce the process complete and call for a check out. Eveyone present seems to get something out of the process. Going with the flow seems to work a lot easier than trying to manage something that does not want management. I recently have a chance to feel the uncomfortableness that accompanies confrontation. My 25 year old son a resident of my home decides to invite his girlfriend to sleep over. My wife voices her opinion that she does not want her to sleep over. I too feel the same way but do not say anything. My excuses range from the lack of intimacy in my relationship with him, the fact we do not have a biological link and I come into his life well after childhood. I feel it's not my place. As the sleepovers continue my desire to step in and set a boundary grow. But the prospect of confrontation and possibility of an awkward and uncomfortable living situation help keep my mouth sealed. I shut down. My mouth feels sealed shut by super glue as my tongue thrashes against my teeth. I hate this, I feel puny and weak. I feel a strong urge to medicate these feelings. I've read your quote "Win or lose, everybody gets what they want out of the market. Some people seem to like to lose, so they win by losing money". I know from experience I never felt "happy" when I lost money. What I would do and still do after a loss is review the trade and see if I can find what I could have done better all the while knowing that there's never a guarantee of a profitable outcome. Most of the errors I've discovered came from entering the trade, either long or short, against the BIG time frame probably because I was taught using micro time frames. Would you give me some insight to what it is you're getting at with your statement above or have I just answered my question with my above response to my own losses? "Everybody Gets What They Want" derives, as a corollary, from "Intentions = Results." Your intention (the structure - the way you set up your life) determines your results (the behavior - the outcomes you get). For example, you intend to get this reply from me - for proof, simply notice the result you get. Understanding these notions seems to come easier to people who choose to acknowledge full responsibility for the results they get in their lives. I want to share my enthusiasm about a new movie that offers a profound look at our emotions and how they influence our behavior. An animated feature, "Inside Out" presents the story of an 11 year-old girl struggling with her feelings about a dramatic and unwanted change in her life. Engaging and spot-on characters represent her feelings of Joy, Sadness, Fear, Anger and Disgust as they interact and respond to this change. Last night, as I watch the movie I notice how many children, some quite young, attend with their parents. What a marvelous opportunity to share "feelings about feelings" in our role as parental guides and mentors! I think of your mentor Dr. Forrester's desire to present a curriculum on system dynamics to elementary school children, and I feel a similar desire to help children understand and accept the strong emotions that can sweep them into confusion and sometimes risky behavior. Especially profound, for me, is the idea presented in the movie that we really can't fully engage in life without some sadness touching our joy, and that this truth leads us to be able to connect with others and within ourselves in a way that we never could by simply trying to "be happy". Disappointment, loss and sadness are a natural part of traveling through life! The movie also offers a realistic, achievable model of positive parenting and supports the value of sharing feelings back and forth between parents and children. I imagine parents viewing this movie with their children as well as children viewing it as a part of their regular school curriculum in the elementary grades, followed by sharing of real-life examples of their own emotions and the behaviors that can result. Our kids are watching and learning from us, so let's plant seeds instead of donating rocks! Thank you for sharing your insights and wishes to support children in the art of parent rearing. Enjoyed your talk with Michael Covel. Perhaps we can do it together - and come up with some new lyrics - since the title might pertain to any number of current markets. I wonder if you can sing the lead. Attached is a complete TTID template for a tribe in Mumbai, India. I have read 'The Trading Tribe' book and would like to either be a part of an existing Trading Tribe in Mumbai or start a new one. Although I have not attended a Workshop I would still like to start or join a Tribe. I would like to go ahead with it and learn during my journey in the process. Kindly let me know if you need any further information to process this application. Thank you for sending me your TT Information Document. I now have it on line. Do you have room for another Trader in your tribe? If so, I would love to join the Austin group. I now live in Puerto Rico and manage the Puerto Rico Tribe.